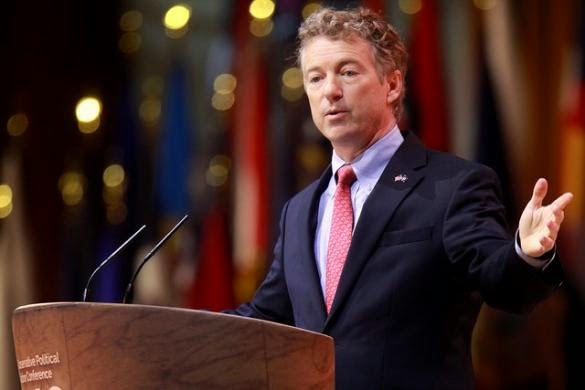 In the latest example, the caucus has issued a press release calling Senator Rand Paul (R-KY) a racist for opposing confirmation of Loretta Lynch as the next U.S. Attorney General. Paul earlier issued a press release stating three reasons for his opposition to Lynch. The caucus ignored two and called the third, her support for civil asset forfeiture, "...nothing but an excuse to keep an African American legal scholar from holding this high position..."
Those that wonder why race consciousness remains at high pitch in America, a half century after enactment of the Civil Rights Act and other laws associated with the civil rights movement, need look no further than the Congressional Black Caucus and understand that they want it this way. They want to keep color rather than ideas and character to be the measure of people. Calling Rand Paul a racist is particularly, and pathetically, ironic in that he has probably been the most aggressive Republican office holder in reaching out to black groups and proposing innovative ideas for reform that would empower black Americans. Meanwhile, as Paul knocks himself out to get black kids the opportunity to be free to choose a good school, the Black Caucus defends, to its last politically motivated and self-serving breath, the public school system and making sure that black kids have no choice but stay in it. So who exactly is fighting for black interests in America? One of Paul’s stated reasons to oppose Lynch is her support of President Obama’s executive order granting de facto amnesty to some five million Hispanics who arrived illegally in our country. This again raises the question about who is looking out for black interests – the Black Caucus or the white Republican they call a racist. These five million illegals, now legal by the simple wave of a presidential wand, overwhelmingly work in low-income jobs. So they now will legally compete for work opportunities with the many low-income black workers, whose unemployment remains twice the national average. Regarding civil asset forfeiture, organizations across the political spectrum, from the American Civil Liberties Union to the Heritage Foundation, see this area of law enforcement as flawed and badly in need of reform. In these cases, government – state and federal – officials seize funds from an individual based solely on suspicion of a crime and even though there are no formal charges or conviction. But when Senator Mike Lee (R-UT), during Loretta Lynch’s recent confirmation hearing, questioned the “fundamental fairness” of Americans having their property taken by the government without any proof of criminal wrongdoing, Lynch supported the procedure, calling it “an important tool” in fighting crime. Yet Rand Paul’s opposition to Loretta Lynch because of her support of this procedure is called “unfounded” by the Black Caucus. They would rather just call him a racist.